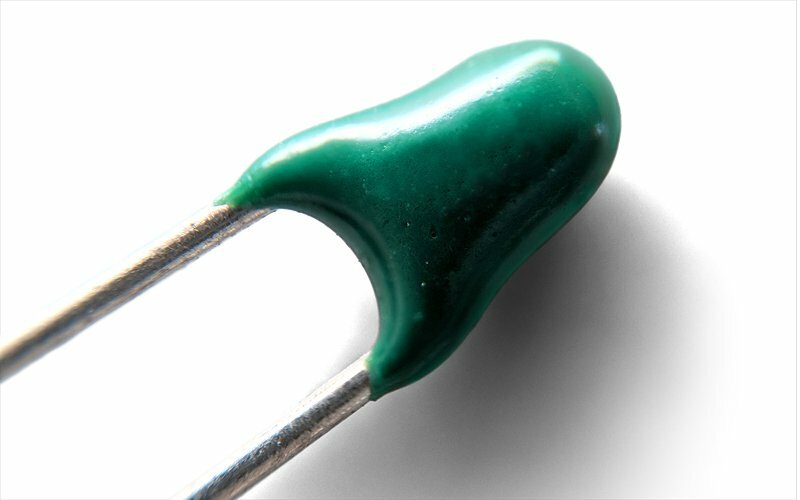 Our wide range of NTC thermistors includes several rigid-lead versions ideal for p.c.b. mounting. When surface mount thermistors simply cannot offer the accuracy required, our radial lead designs can sense or control down to ±0.2°C or better. We offer the widest range of R25 resistance values, B values and bespoke lengths. Using our extensive technical knowledge and innovative supplier base, we will work with you to provide the optimum solution for your application. Call us today on 01606 871680 to discuss your thermal sensor requirements. 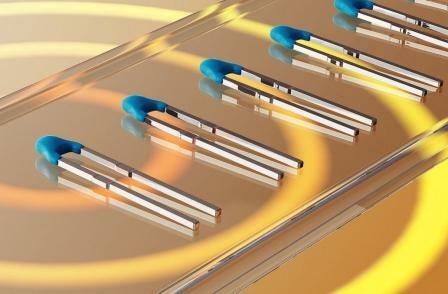 The Semitec AT-2 range of NTC thermistors were the first to use lead-frame technology to create consistently accurate 1% tolerance NTC’s at a significant lower-cost than other NTC products. Their unified shape enables automatic assembly. Unified shape for automatic assembly. Semitec 103AT-5 thermistors incorporate the same NTC element as the 103AT-2 but are fitted with 30mm long solid bare lead-wires (0.5mm dia) and can be supplied in bulk form or tape & reel or ammo-pack. 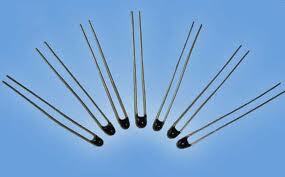 Call us to discuss any auto-insertion requirements you have for NTC thermistors.